The Ageas Bowl in Southampton welcomed over 1,000 people today as Venturefest South returned for a third, and record-breaking year. The annual event brings together innovators, entrepreneurs, investors and businesses from across the South to share ideas, explore best-practice, showcase new technology and create deals to help develop and take local business ideas forward. Not only did today’s event attract record numbers, it also succeeded in setting an event record with a total £90m worth of investment opportunities, including £45m pledged by Defence Science and Technology Laboratory (Dstl), available to innovators and entrepreneurs attending the event. 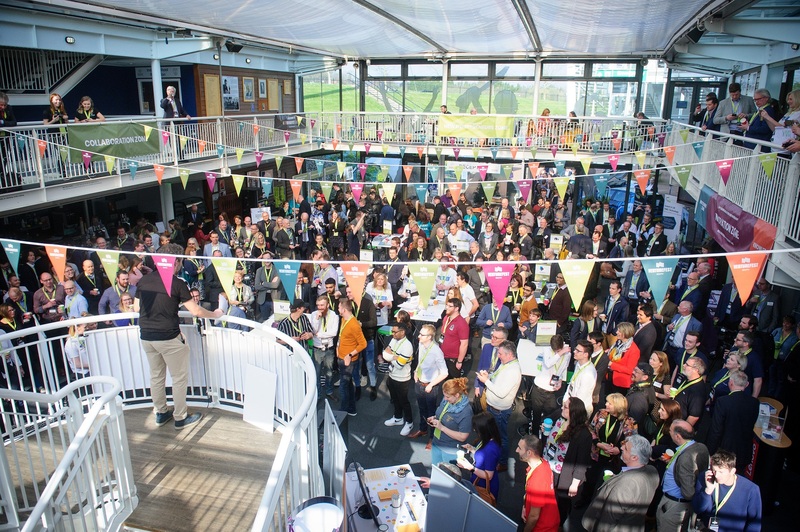 “This is the third year of Venturefest South and each year it grows in stature and importance leaving me amazed by the quality of the innovators pitching for investment and the sheer imagination and creativity on display. On behalf of the partners, I would like to thank all the innovators, entrepreneurs, investors, large companies and sponsors that help make this event the success it is. A not-for-profit partnership, Venturefest South supports the South’s innovators by providing them with a platform to showcase their cutting-edge innovations to investors, key influencers and potential business partners. DocHQ - an employee healthcare benefit which helps improve company profitability by reducing sickness and presenteeism. Improving employee health and workplace wellness via fast medical support and occupational health. HOLM - an ‘Express Styling’ service that takes only a few minutes, after which, the application recommends styles that best suit the shopper’s body shape, fast tracking them from inefficient browsing to the enjoyment of choosing clothes they know will look great. Proofer - a social media scheduling tool. After raising a pre-seed round, the product has been developed and launched and is quickly becoming recognised as the most easy to use solution on the market. Proofer makes managing your social media accounts a breeze. Last year, University of Southampton Aeronautics and Astronautics student, Connell McLaughlin, presented his innovation Route Reports. The application enables users to monitor roads, railways and vehicles. It warns them of predicted upcoming hazards such as potholes, overhanging branches and mechanical faults. Connell won ‘Best Young Innovator Award’ at Venturefest South 2018. Following support from the University of Southampton Future Worlds incubator programme and his appearance at Venturefest South 2018, four investors each pledged £100,000 towards his business. It is now based in San Francisco and is valued in the millions. Venturefest South was created and developed by a group of partners within the regional innovation economy, including: Solent LEP, Innovate UK, Carswell Gould, the Knowledge Transfer Network, University of Portsmouth, Southampton City Council, Solent University, the University of Southampton, Basingstoke and Deane Council.